OnePlus 6 vs OnePlus 5T : what's different? OnePlus has launched OnePlus 6 which comes with Glass body, Snapdragon 845 processor up to 8GB RAM. 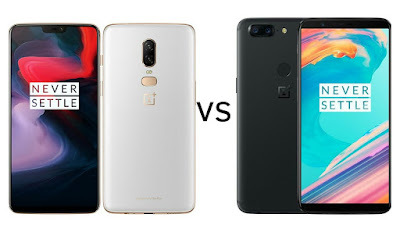 Check out Price, Specs, Features comparison and a key difference between OnePlus 6 and OnePlus 5T.